Strong Aluminum aerofoil shaped profiles. 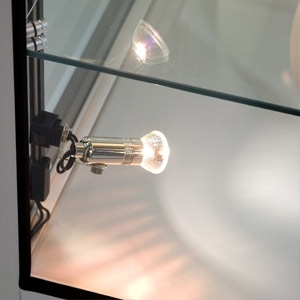 Standard display tower showcase - three quarter glass with 3 piece down lighters. It measures 500mm wide x 500mm deep x 1932mm high. 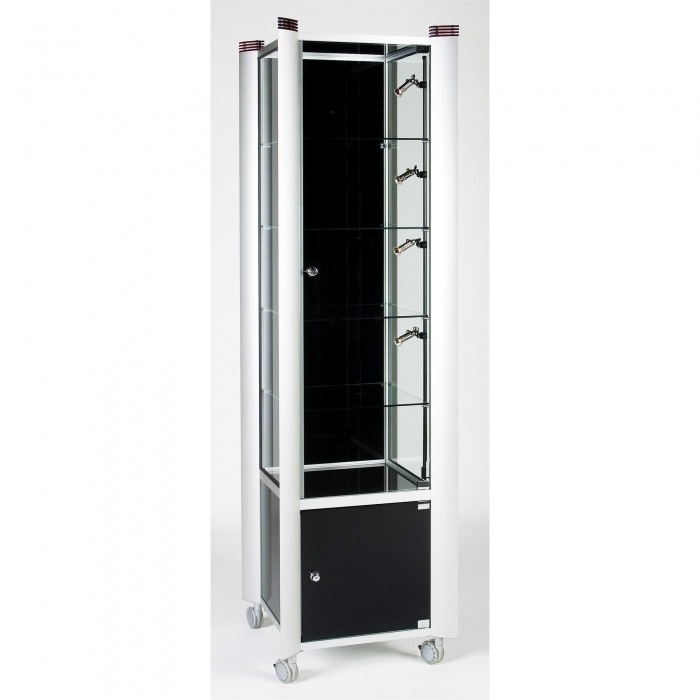 This point of sale display tower includes a secure lockable base and toughened safety glass. Create impact with these modern contemporary free standing high quality retail merchandising units. 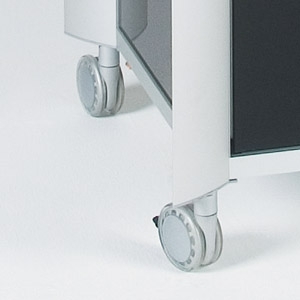 Delivered ready assembled and comes complete with header panel, 4 glass shelves and designer castors for mobility.